Kyle Zeppelin scored a development hat trick by opening three developments in 2018. “Remind me not to open three major projects in a year that are bigger than anything I’ve ever done before,” Kyle Zeppelin posted on his Facebook page. Zeppelin made the post regarding his development hat trick with only one hour and eight minutes left of the year. Opening three diverse, one-of-kind developments made for a “wild ride in 2018,” Zeppelin said, adding that he loved it. Together, the three developments that opened last year – The Flight office building, the mixed-use Zeppelin Station and the Source Hotel – have a combined value of about $140 million. It wasn’t necessarily Zeppelin’s intention to open all of them in the same year. His eponymous company, Zeppelin Development, started by his father, Mickey, broke ground on Flight and Zeppelin Station about 18 months ago. Although the last to open, the most complicated of the three, the Source Hotel, broke ground about two years earlier. All of the real estate stars aligned for the three developments to open in the same year – and to be built in the first place. “A lot of it came down to timing,” Zeppelin explained to Rebchook Real Estate Corner Tuesday afternoon. 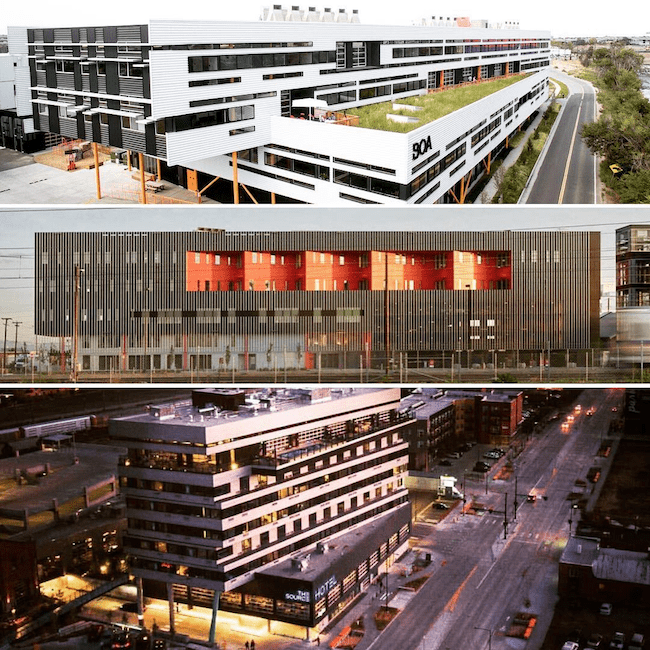 Zeppelin Station is one of a trio of buildings that developer Kyle Zeppelin opened in 2018. “The market was in a good place,” and financing was available, he noted. Of course, it would have been easier to stagger them. “But, having been through the recession, I know (working simultaneously on three developments) is much better than not knowing where the bottom is and just scrambling to get through it,” he said. Perhaps what was most remarkable about the three openings in one year is that all of them were not only different from each other but also different from anything else in the market. 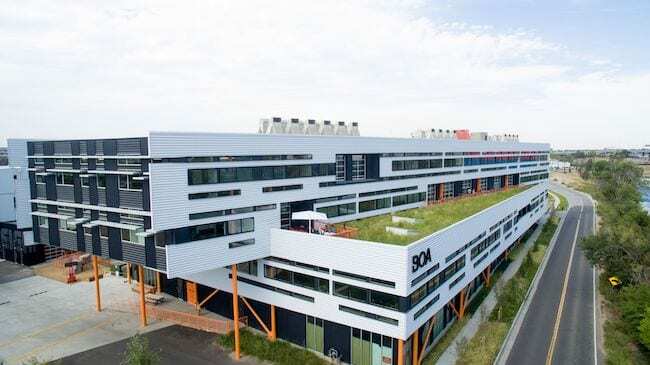 Flight, for example, has the “most extensive green roof in the state,” making it the “poster child” for the green roof initiative that voters adopted last year. 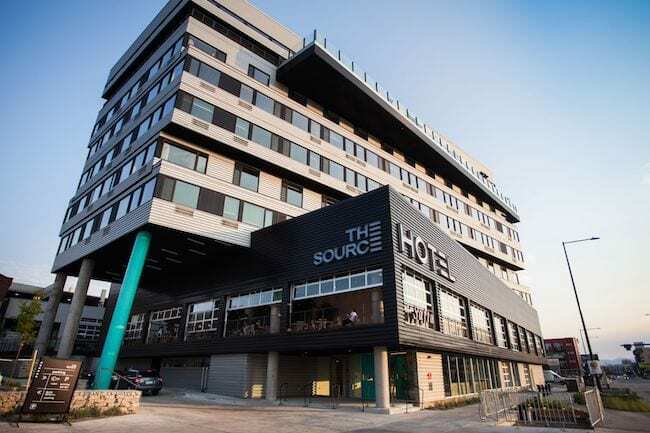 The Source Hotel “is the only hotel in the country” with a full brewery in its lobby. New Belgium has a brewery in the lobby of The Source Hotel. A brewery in the lobby is something that no other hotel in the country can crow about. Zeppelin Station incorporates a food hall into a transit-oriented building that also is home to 100,000 square feet of office space and retail. “For a lot of the more commodity developers, it’s maybe not that big of a deal if you are doing basically the same thing in San Antonio, Denver and Atlanta,” Zeppelin said. “In our case, the only similarity between the three is the geography,” as they all are in RiNo. How did the married 46-year-old Zeppelin, the father of two young girls, juggle everything? “I don’t get that much sleep, anyway,” Zeppelin. That means “after getting the kids down,” he would review contracts, progress and shoot off emails from about 9 p.m. to “1 a.m. or 2 a.m.” during a typical weekday. “But, you know, I am not a one-man show,” Zeppelin said. “We are a relatively small organization, but we have key team members in place to deal with a lot of the usual issue that arise with any development project,” he said. 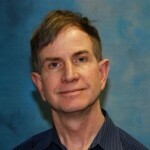 With any development, “you have to expect the unexpected,” he added. The Flight building sports the largest green roof in the state. In one case, the city demanded that the New Belgium brewery in the Source Hotel have industrial-style testing equipment. They were pretty far along with the hotel, and it would have been costly to retrofit it. “Speaking to Brad Buchanan (then the planning director for the city) and others in the city, we convinced them that a brewery is a pretty benign industry compared to a chemical processing plant, so we came up with a pragmatic and common-sense solution,” he noted. “Without getting too technical, we came up with a way to test everything without having to do major surgery to the building,” he said. Keeping the physician metaphor going, Zeppelin tried to “not be on call” on the weekends and immediately after work. “It was important to me to have balance in my life, to spend time with Andra (his wife) and my daughters,” aged 5 and 10. Zeppelin, perhaps more than any other developer in Denver, finds time to sound off on social media on a wide range of social, environmental and political issues. He pulls no punches, whether commenting on affordable housing, architecture or his displeasure with Denver’s direction. If anything, moving as fast as he could on “three signature” buildings at the same time made him even more “woke” to his perceived shortcomings in the city. 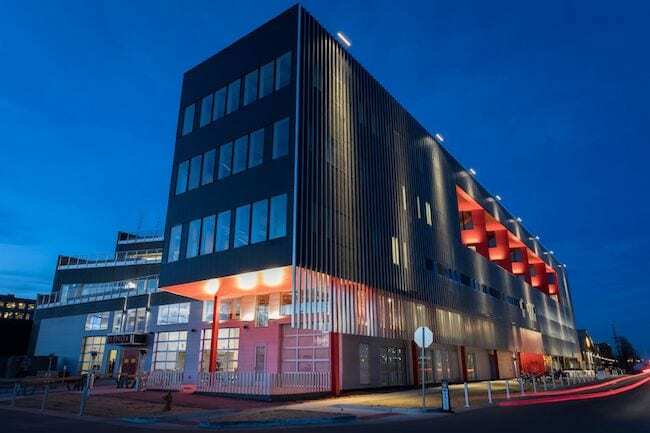 “When you are bringing an office building, a hotel or a food hall to the market, you become acutely aware that you need affordable housing for the workforce,” according to Zeppelin. “And our public transportation is so lacking there is really no practical way for most people to function without a car,” he continued. 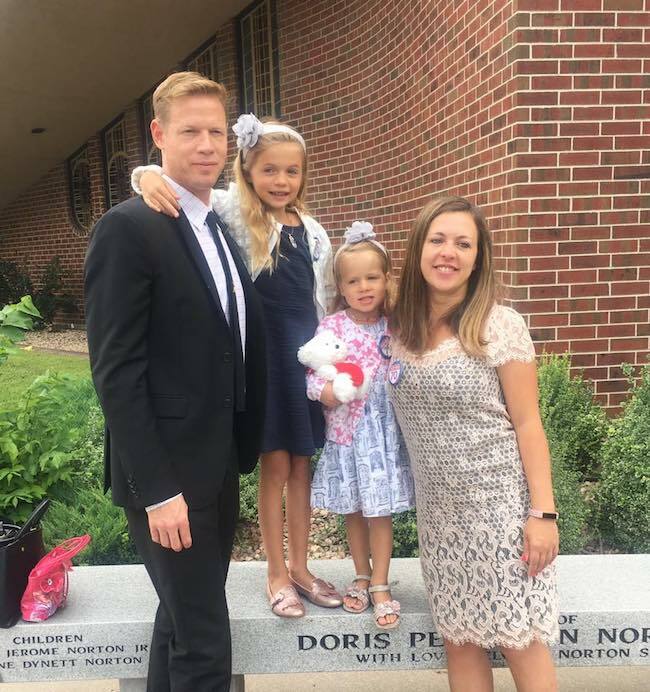 Family time is important for developer Kyle Zeppelin. Despite everything he went through, most boutique developers would be thrilled to open even one development in a year that is knocking it out of the park, the way the Source Hotel, Flight and Zeppelin Station are. But scoring with three of them in the same year? “Be careful what you wish for,” Zeppelin quipped.